Once you planed to build a data center, you will need best design or perfect design for the server room of you data center. Server room is the most important part of the data center, since all the server which will store the precious data of the clients will be housed in the servers room. Always remember hire some professional while designing the server room. Consult experts whether you are building a new server room or just renovating the old one. 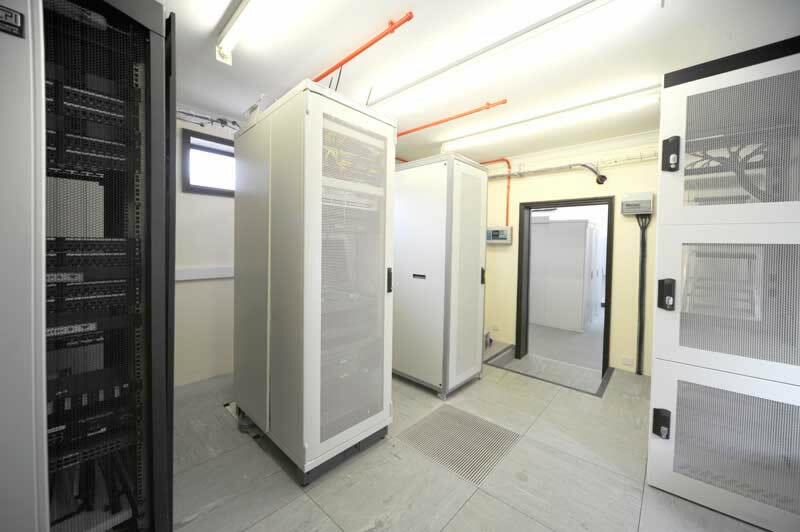 Server room are vital for a data center and that’s why they should be kept under carefully controlled environment. When redesigning a server room or building a server room you should always consider few points like amount space required for building the server room, power requirements, choice of the location. Your server rooms should be under your time frame and budget. More adequate Cooling – For a server room cooling should be adequate for the heat generated in server room is much larger than other parts of the data center. Insufficient cooling will effect your server more faster than anything else. Although today modern equipment are much smaller, but they consume the same amount of energy and hence generates same amount of heat. More space in server rooms means more equipments and more heat in the same physical space. Always expect for extra space to be required for cooling apparatus. More Power – When compared to other parts of the data center, server room requires more power. You should install scalable, redundant and power distribution systems to provide branching of circuits in order to adjust the increased power needs and to provide sufficient power supply. While housing the computer equipments make sure there is enough space to keep stress on distribution length, convenience and ventilation all these factors are important. Limited Access – in order to save the expensive equipments and more expensive data, make sure only authorized person should enter the server room. There should be proper arrangements for security and control systems. Authorized person should also be checked before entering server room. Irrespective of the fact including operating system changes all the software and hardware changes should be monitored. Other than operating system other things top be noted down are hot-fixes, system updates, configuration changes, addition of certain software’s, and network hardware change. In any case if any failure occurs log book will provide you a path. This entry was posted in Data Centers India and tagged Colocation Servers, Colocation Services, Server Rooms. Bookmark the permalink.